Ahead of the 24 Hours of Le Mans 2017, there were two favorites: Porsche and Toyota. While Porsche aimed for the third consecutive victory, the Toyota team set a new lap record at Le Mans. After just under 3.5 hours, the Porsche 919 hybrid with number # 2 had to go to the service station. A defect on the front axle had to be repaired. It took less than an hour for the car to get back into the race. The bad luck met later also Toyota, when the car with the number # 8 came smoking to the pit stop. With the same defect as the Porsche, the Toyota also had to go to the garage. After just under two hours of repair, it was back in the race again. 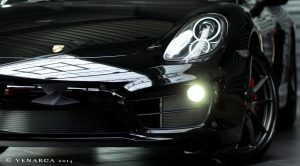 Since Toyota had not assumed that the front engine ever had to be replaced, the repair took longer than at Porsche. The bad luck did not let go of Toyota. Shortly after the number # 8 it hit the leading Kamui Kobayashi in Toyota number # 7. Due to a clutch failure, the car had to be taken out of the race. Eventually, the third Toyota was also eliminated after an accident with Simon Trummer in the Manor-LMP2. Nicolas Lapierre with his Toyota was no longer able to continue the race due to the resulting damage. While Lotterer was leading the race in the Porsche with 10 laps ahead of the win, the accident also hit the LMP1 team of Porsche again. Far from the box the 919 throttled , until it finally stopped. There seemed to be a problem with the oil pressure. The attempts to start it again were unsuccessful. Thus, the car with the number # 1 also had to be taken out of the race. With the failure of the Porsche # 1 there was a new leader in the game. The LMP2 car Jackie Chan DC-Racing with Thomas Laurent took the lead in the race. 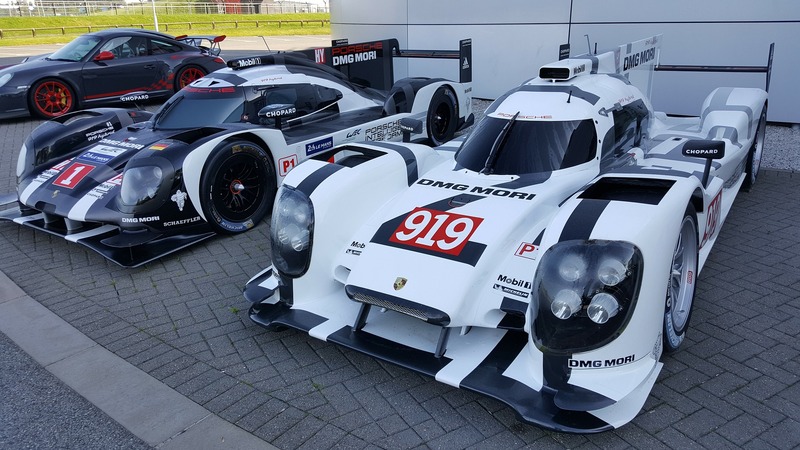 For Porsche, the hope was now in the 919 hybrid with the number # 2, which had previously fallen back 18 rounds during the repair. It still succeeded after a strenuous catch-up to replace the team of Jackie Chan DC Racing at the table top. The Gibson of the Jackie Chan DC Racing team, just before the Porsche 919 hybrid overtook it. The 24 Hours of Le Mans ended with the third consecutive victory for Porsche. Thus, Porsche has a total of 19 victories in Le Mans.. The second Le Mans win for Timo Bernhard, after his victory in 2010 for Audi.